At Centre for Neurosciences, we believe in offering super speciality tertiary care for kinds of neurological disorders. 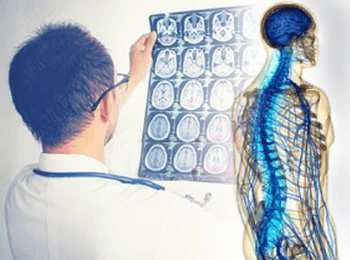 Our experts specialise in treating all kinds of brain tumours, spinal degenerative diseases, movement disorders, congenital anomalies of spine and brain as well as all neurovascular diseases/trauma of spine and brain. We offer a broad spectrum of services like Advanced Brain Tumor Centre, Minimally Invasive Spine Surgery Centre, and Stroke Centre. The Centre for Neurosciences is equipped with Neuro Navigation, Stereotaxy, Microscopic Surgery (High-end microscope), advanced brain tumour centre, Endoscopic surgery, and special clinics for Epileptic, Neuromuscular and movement disorders. We also perform neurological procedures like Brain & Spine Surgery, Paediatric Neurosurgery, Interventional Neurology, Neuro-Immunology, Brain Tumor Removal, Baclofen Pump and Disc Replacement Surgery. Our support services comprise Blood Bank, Laboratory and Imaging Services. Our highly experienced staff and hi-tech infrastructure delivers international quality Imaging services with quick and accurate results, 24 x7. Sarvodaya’s licensed and NABH Accredited Blood Bank is geared to ensure 24X7 availability of safe blood (and related components) in adequate quantities. We employ cutting-edge technology for transfusion to patients. At Sarvodaya, we realise the criticality of superlative laboratory services for accurate medical outcomes. Our state-of-the-art, expertly supervised, NABL accredited laboratories provide an inclusive range of premium, dependable and timely services.